Kevin Dietsch – Pool/Getty ImagesIvanka Trump watches as President Donald Trump delivers remarks after touring the Smithsonian National Museum of African American History & Culture on February 21, 2017 in Washington, DC. BuzzFeed News reported this week that Ivanka Trump connected Michael Cohen with Russian athlete Dmitry Klokov, who offered to introduce Donald Trump to Russian President Vladimir Putin during the 2016 election. The meeting was meant to help clear the way for a Trump Tower Moscow deal. 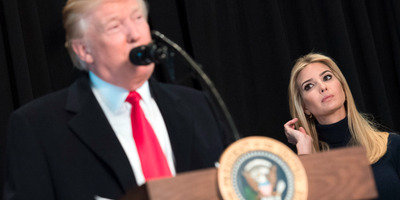 A spokesperson for Ivanka’s lawyer, Abbe Lowell, said in a statement to Business Insider that the first daughter “did not know and never spoke to” Klokov directly. Klokov’s outreach to Ivanka Trump and Cohen is one of many instances in which Russia-linked individuals connected with the Trump campaign with offers of assistance. The athlete, former Olympic weightlifter Dmitry Klokov, reportedly pitched the meeting in late 2015 to help pave the way for the Trump Organisation to secure a deal to build a Trump Tower in Moscow. Cohen reportedly rebuffed the offer after some back-and-forth with Klokov, presumably because he was already working to push the deal forward with the Russian-born businessman Felix Sater at the time. The spokesperson added that Ivanka did not know about the Trump Tower Moscow proposal until after her father signed a non-binding letter of intent. Trump signed the letter in late October 2015, while he was a presidential candidate, and Ivanka connected Cohen with Klokov in November. Her lawyer’s spokesperson did not respond to follow-up questions about why she sought to open up another channel between the Trump Organisation and Russia for the deal if she was already aware that Cohen was working on the project through Sater. The spokesperson also did not respond when asked for more details about the email Ivanka said she received from Klokov’s wife. FBI and congressional investigators are said to be looking into the interactions between Cohen, Klokov, and the first daughter and have asked witnesses questions about it. A source with direct knowledge of the matter told Business Insider on Wednesday that Robert Mueller, the special counsel in the investigation into Russian election interference, has not contacted the White House with document or interview requests related to this. But regardless of her’s or Cohen’s role in the matter, investigators’ interest will likely be piqued by the fact that Klokov’s pitch marks yet another instance of contact between members of the Trump campaign and Russia-linked entities. Klokov appears to have no background in real estate, and BuzzFeed noted that it’s unclear whether he would have been able to make good on his proposal. Sen. Richard Burr, who leads the Senate Intelligence Committee, said, however, that he could see how Klokov and other Russian athletes may be drawn to Putin’s politics. Robert Deitz, a former top lawyer at the CIA and National Security Agency, suggested Klokov’s pitch could have been part of an attempt to achieve two intertwined goals. “It seems clear that some number of Russians, including Putin and many of his allies, wanted to encourage the election of Trump, in large measure because he had an interest in building hotels in Russia,” Deitz said. 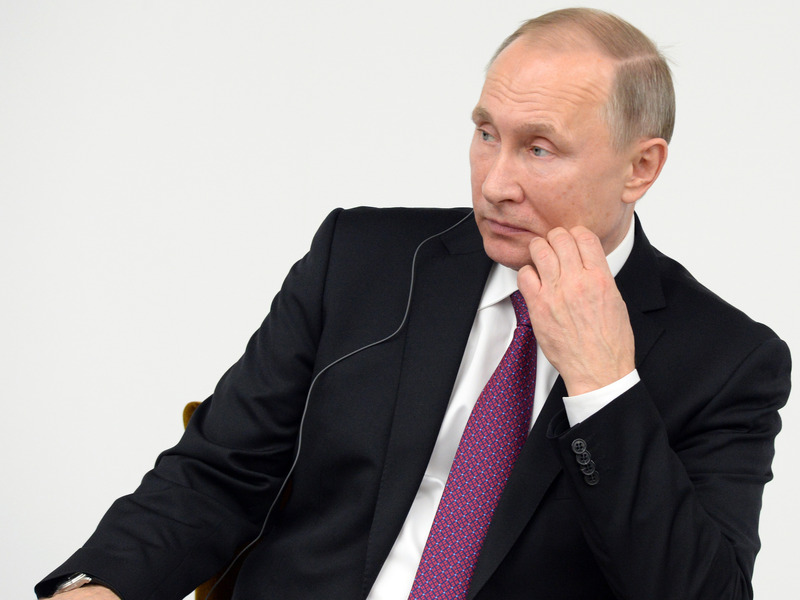 Putin’s government has a finger on many business dealings in Moscow. Trump, meanwhile, has a decades-long history of fascination with Russia and often expressed a desire to do business there. Putin “would definitely use them to try and gain access and control over someone like Trump (or any important American, for that matter),” Montoya said. Klokov’s outreach to Ivanka and Cohen was far from the only instance of communication between Trump associates and Russia-linked individuals or entities. In fact, Trump’s campaign operatives, associates, or family members were in touch with Russia-linked entities, at times for expressly political purposes, at least six other times throughout the 2016 campaign. “You’re essentially trying to put out as many feelers as possible and see what you get back,” Deitz said of Russia’s efforts. Not all the Trump campaign’s contacts with Russians, including Klokov, occurred with individuals or organisations directly associated with the Kremlin. But Putin has a long history of using outside entities and proxies to do the Kremlin’s dirty work as a way to ensure plausible deniability. What’s clear is that the Russians “were casting a wide net,” said Glenn Carle, a former CIA operative. The biggest unanswered question as it relates to Ivanka’s, Cohen’s, and Sater’s involvement in the Trump Tower Moscow deal is why the project fell through. But the Trump Organisation has pursued a plethora of international deals since he became president. Montoya floated another possibility as to why the project was never finalised.